First Workshop for Women Annoucement! 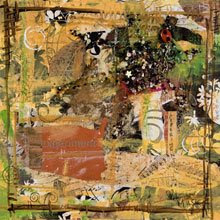 I decided today that I would teach my first "Workshop for Women - CraftyCollage Techniques" Class! I am very excited to announce that on January 17th 2009, I will be starting a new year with a new venture...fulfilling a dream. I've taught art classes before, but it's been so long. Too long. When I was working at the Art Store in Natick MA, I taught a Cartoon and Caricature class for children ages 5-12. I taught 3 or 4 seasons. The first time I ever taught collage was there, and it was by accident. I was working that day, selling art supplies and that evening there was a painting/collage class. The teacher never showed, but I was able to conduct the class and really had a great time jumping in and getting people started. I remember that one day, years ago, and now I'm finally making it happen again! So, as you can tell I'm so excited. So ladies, bring your acrylic paints, your canvases, your magazine and glitter. Bring your favorite quotes, stamps and fairy wings, cause we are taking flight!